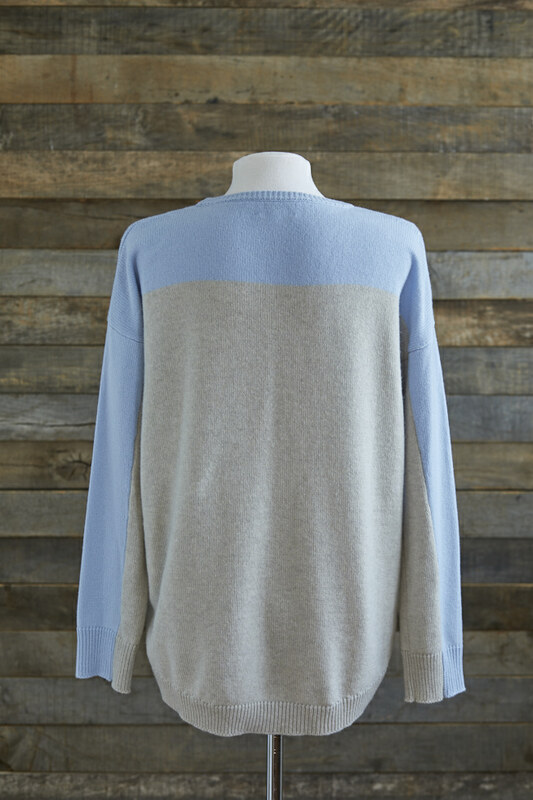 With a nod to a sporty everyday wear, this flattering, loose-styled jumper is great teamed over trousers. 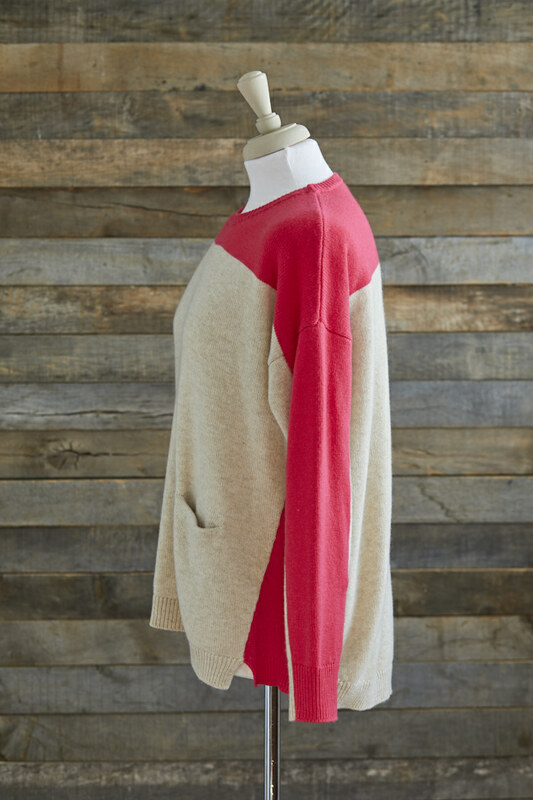 The yolk and top of the sleeves gives a generous pop of colour echoed in the needle-ribbed inset running down the sides of the body. 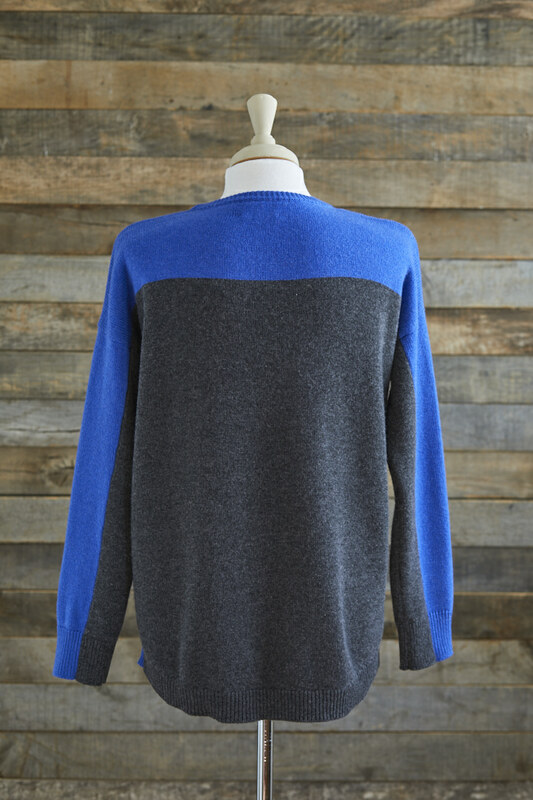 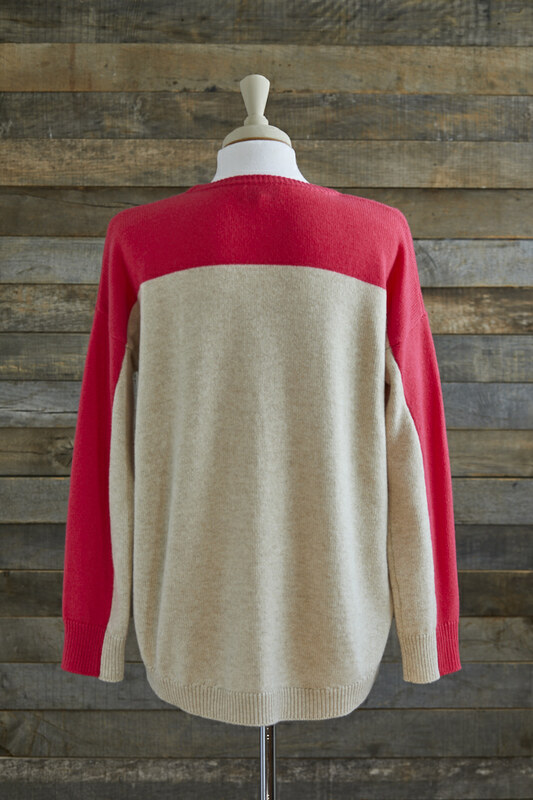 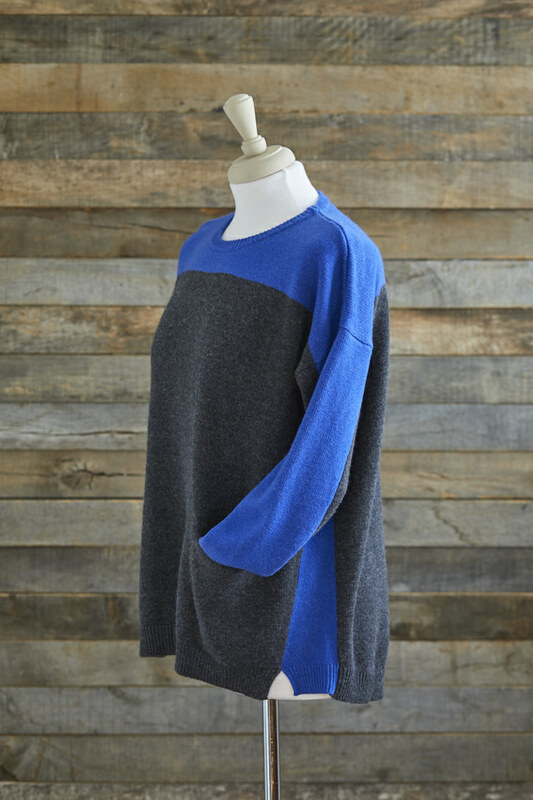 The back of the jumper is longer than the front with a soft inset pocket.